Suzi is the most bubbly fun girl you could meet which is fitting for her new bike. Her partner bought her this Suzuki for her 30th Birthday this year and had to store it at my studio to hide from her. 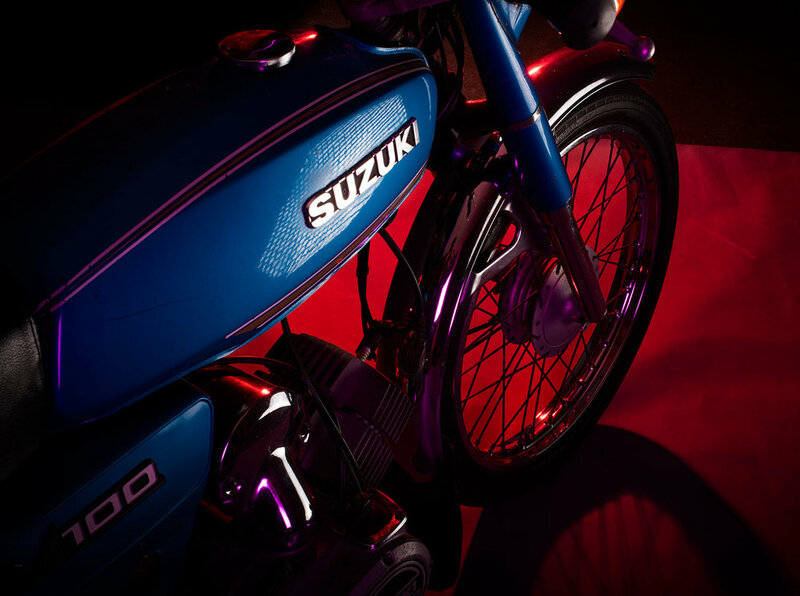 I decided to snap a few shots of the bike as it was just too damn cool, it also gave me an excuse to test out some coloured gels and lighting for that retro look. These few images are a combination of mostly Elinchrom studio flash's and light-painting.